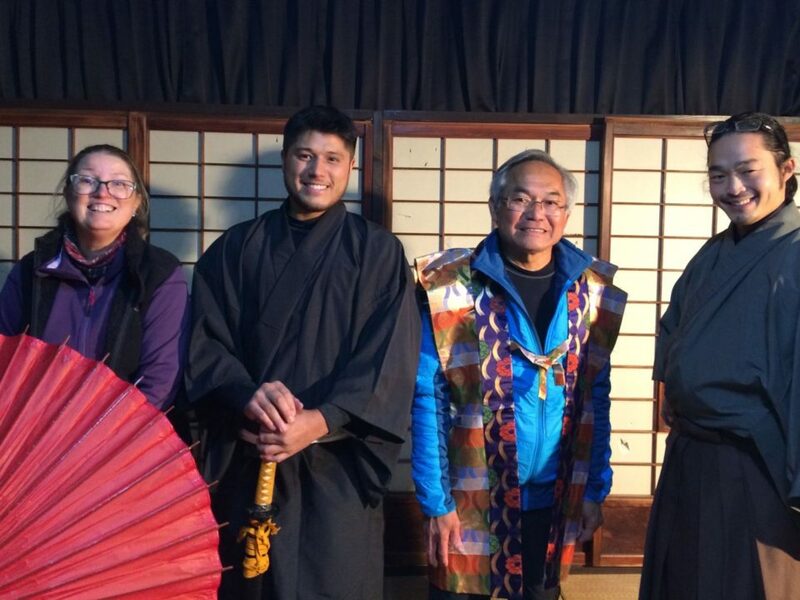 We had wonderful guests come and visit us from France: Jeremy and his parents, Mr. & Mrs. Lam. 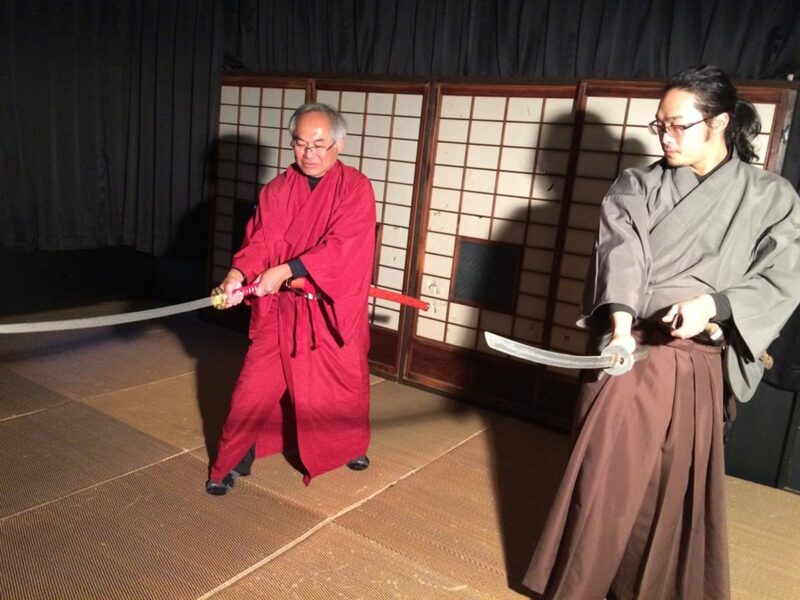 They participated in the Samurai Sword experience at the Samurai & Ninja Studio "Kenyu." 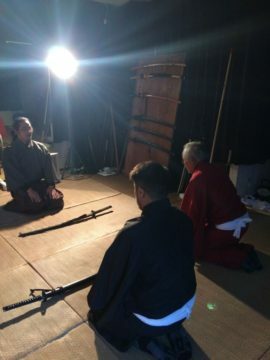 As Jeremy works as a digital media creator, he was very interested in taking pictures and videos of the samurai performances by the instructors. 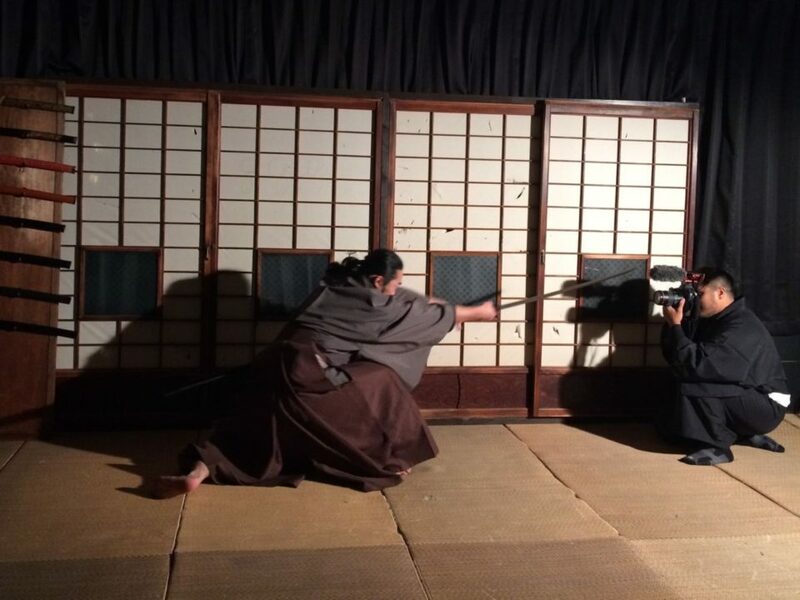 The workshop started with a photo session and video shooting by Jeremy. 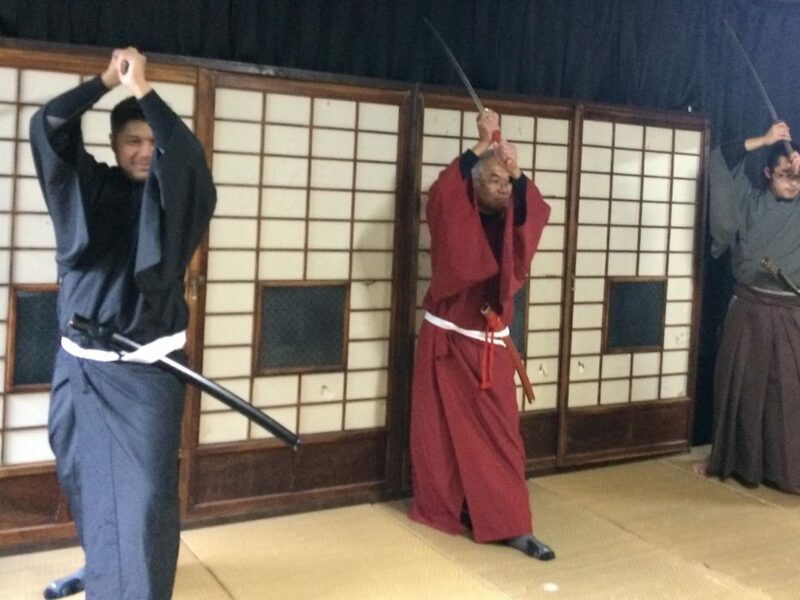 Next, Jeremy and his father, dressed in Kimono, got to try handling the swords and learning some simple movements. 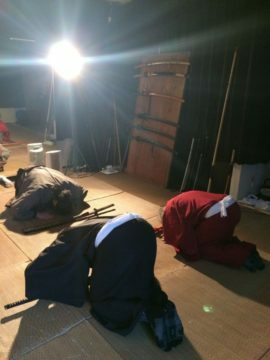 The lesson concluded with the students and instructors bowing to one another. 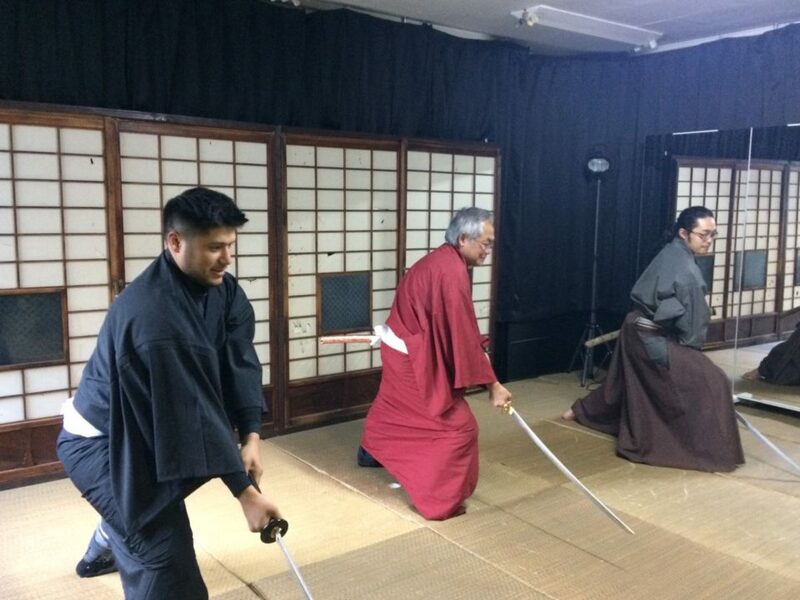 Our guests are heading for Kyoto tomorrow morning where they will be visiting swordsmiths so they can watch them forge real swords! Have a good time in Japan!